The general terms and conditions regulate the cooperation between Forster Swiss Home AG and the client, and are intended to help ensure that kitchen projects are processed efficiently and to the complete satisfaction of the customer. With this objective in mind, the following agreements deal with the rules, standards and prerequisites as are customary in the industry. The individual services are described in the offer in accordance with the wishes of the client. Mutual trust and the professional competence of Forster Swiss Home AG remain the most important basis for the joint project. The terms “kitchens” or “kitchen equipment” (plural) also apply to individual kitchens. The term “client” applies to services according to the law governing contracts for work and services in the sense of the ordering party in accordance with OR (Swiss Code of Obligations) Art. 363 ff. The general terms and conditions are essentially based on the recommendations of the Swiss Kitchen Association (KVS) of 15 June 2001. The general contractual terms and conditions additionally regulate those rights, obligations and services which are not set down in the technical specifications (kitchen description) or in the plans and where there are no mandatory statutory provisions or mandatory standards. Other terms and conditions of the client, particularly its general terms and conditions, are only binding if they have been confirmed in writing by Forster Swiss Home AG. The general contractual terms and conditions govern the contractual relationship in accordance with the law governing contracts for work and services for the production of kitchens up to installation in the building. Purchase contract law in accordance with the OR applies (with correspondingly different warranty provisions) to material deliveries without construction work by Forster Swiss Home AG. The general contractual terms and conditions take precedence over SIA standard 118 “General conditions for construction work” and SIA standard 118/380 “Building services”. In the following, the company named there is Firma Forster Swiss Home AG. Insofar as the contractor undertakes services for project engineering, planning or construction management, SIA standard 102 or 108 is declared to be applicable. If the client is informed of these general terms and conditions in a language other than German, only the German text is authoritative in the event of translation/interpretation differences. Their translation into another language is carried out solely to facilitate comprehension. There is an essential entitlement to a fee for planning services. All offers, illustrations, technical designs, diagrams and similar documents remain the property of Forster Swiss Home AG. Documents from the offer may not be reused or made accessible to third parties without its consent. The Forster Swiss Home AG offer for products, services, delivery period(s) and ex-works price is valid for 90 days from the date of the offer. Offers involving several kitchens are valid for the offered quantity. Subsequent deviations in quantity or unforeseen subdivision of the delivery into stages may result in a change in the agreed price. Material and design changes due to technical progress are permissible. Improvements within the framework of the ordered products and services will be passed on to the customer without incurring costs. Material samples are type samples. Particularly in the case of natural materials such as wood or stone, the delivery may deviate visibly from the type sample within the natural variation range. The contract is concluded in writing by mutually signing the documents prepared by Forster Swiss Home AG. Subsequent changes are not possible in principle or in the interest of the manufacturing processes. Subsequent changes can be made subject to mutual agreement and at the client’s expense, provided that they are agreed in writing. 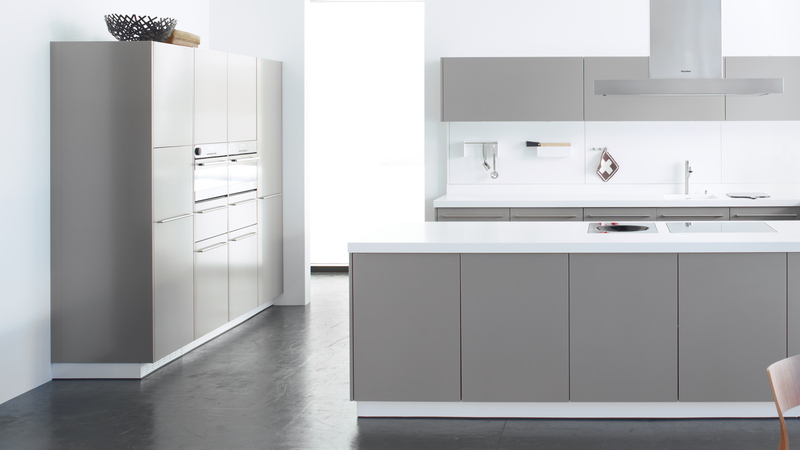 Forster Swiss Home AG is available with its expertise in an advisory capacity for the entire kitchen project or kitchen conversion project. Silicone joints and seals which can only be carried out after the other tradesmen have completed their work. If marked accordingly, services a) to d) may be included in the contract price or billed separately from the basic service. The schedule for manufacturing, delivering and fitting the kitchen equipment is coordinated with the processes in the building. The client or its representative will provide the necessary documents on the agreed date. Unless otherwise expressly agreed in writing, the specified delivery dates do not represent expiration days or fixed dates. Forster Swiss Home AG determines the delivery period(s) as soon as the client has signed and returned all order documents. If the client delivers documents or information later than the dates agreed in the order confirmation, or if it wishes to change the order, Forster Swiss Home AG may demand that the delivery date be postponed. The client must provide written notification of delays in the construction process 10 days in advance. Forster Swiss Home AG will immediately adjust its scheduling. We reserve the right to invoice unavoidable additional costs. If the client postpones the date after the order has been issued, Forster Swiss Home AG can adjust the production of the ordered goods as well as delivery and installation to the new date. Any additional costs arising from a postponed delivery date shall be borne by the client. In the event of an unforeseen postponement at short notice, a suitable room for storing the goods for the ordered work will be made available by the customer on the construction site. Forster Swiss Home AG determines the requirements for such a protected room. The client bears the risk for the stored goods (theft, fire, water, etc.). If Forster Swiss Home AG is required by the client or prevailing circumstances to organise this itself, it may invoice the resulting additional costs to the client. If corresponding payments on account have been agreed, the same payment as at the start of construction assembly is due on storage of the material due to a construction delay. If the delivery and fitting of the kitchens are delayed through no fault of Forster Swiss Home AG, Forster Swiss Home AG is entitled to adjust the date. In particular, Forster Swiss Home AG is not at fault in the event of delays due to force majeure, official measures, environmental incidents or operational disruptions of any kind (e.g. delayed delivery or non-delivery of materials by suppliers, unrest, sabotage, strikes, extraordinary weather conditions, etc.). Forster Swiss Home AG is obliged to provide notification of such delays immediately in writing and to explain them as soon as they become apparent. Corrective measures with cost consequences for the client necessitate written approval. If Forster Swiss Home AG is responsible for exceeding the delivery period, the client can withdraw from the contract after a reasonable grace period of at least 30 days to be set by it in writing. The client is not entitled to any further claims in the event of delayed delivery; Number 12 applies to claims for damages. In the case of delivery including construction assembly (normal case), the contract price includes delivery carriage paid to the construction site, including distribution of the kitchens to the apartments. Forster Swiss Home AG may claim the additional costs in the event of impeded access to the construction site and/or unusually difficult construction site conditions for access to the kitchen rooms. Forster Swiss Home AG can claim one lockable room per construction unit free of charge for the careful and safe storage of the material during installation. The suitability of the respective room shall be determined by Forster Swiss Home AG. When fitting out buildings with more than four storeys or a height of more than 12 m, suitable vertical transport facilities for people and material shall be provided free of charge by the client. Floors and heights are calculated from the access point to the building (SIA standard 118, Art. 135, Subsection 4). This also applies correspondingly to terraced houses. The client shall provide electricity and water free of charge and ensure appropriate sanitary facilities. On the date agreed in the order confirmation, Forster Swiss Home AG will deliver the information and plans concerning the prerequisites under which assembly can begin on time and without delay. Additional work, waiting periods and additional expenses as a result of deviations from the above mentioned prerequisites may be invoiced to the client. The sound insulation requirements and the resulting measures for kitchen installation are determined by the client together with its planning experts. In building complexes (apartment buildings), the requirements can vary depending on the location of the kitchens. Increased requirement according to SIA standard 181 “Sound insulation in building construction” does not necessarily mean sound-absorbing assembly. This must be expressly agreed in each case. The additional costs for sound insulation measures are defined in the Forster Swiss Home AG offer. Sound-absorbing assembly is carried out in accordance with the guidelines of the Swiss Kitchen Association (KVS) or by means of solutions that are at least equivalent in terms of sound insulation. On completion of the work, the contractor shall notify the client of completion of the work or self-contained parts thereof. Acceptance shall be carried out in accordance with SIA standard 118, Art. 157 ff. The price is determined on the basis of the written contract or the written order confirmation. Unless otherwise agreed in writing, prices are quoted in Swiss Francs plus VAT. Forster Swiss Home AG performs up to 90 per cent of its services prior to delivery to the construction site. In accordance with SIA standard 118, Art. 144 and 145, it is entitled to set off payments on account according to the progress of the work. Unless otherwise agreed in the order confirmation, the Forster Swiss Home AG payment deadline is 30 days net after the invoice date. If this deadline expires without payment, the client shall be in default and Forster Swiss Home AG shall be entitled to demand 5% of the invoice amount in interest from the client from the day of default. Forster Swiss Home AG also reserves the right to apply for the registration of a building tradesmen’s lien in the event of default by the client. In the event of default, Forster Swiss Home AG is also entitled to make the delivery of other orders of the client, regardless of the respective terms of payment, dependent on their advance payment or a security deposit, or to cancel the orders. Reference to defects and works that were not accepted does not release the client from its payment obligations. If assembly, manufacturing and/or product defects for which Forster Swiss Home AG is responsible are discovered during the acceptance of the construction work, Forster Swiss Home AG will remedy the defective condition within a reasonable period of time. The warranty period begins on the date of acceptance of the work, or on the date of the final invoice without acceptance, and in all cases upon commissioning of the kitchen. The warranty conditions of the respective manufacturers apply to appliances, fittings, worktops, etc. At the discretion of Forster Swiss Home AG, the warranty covers adequate material replacement with the same function or repair within the warranty period, whereby multiple subsequent improvements are permissible. The replacement of original colours, models and individual parts is not guaranteed. Colour deviations from samples and models are possible. Warranty coverage is never higher than the replacement and installation of the affected parts of the fitted kitchen. A new warranty period in accordance with Number 11.3 commences for goods that are supplied subsequently. This has no bearing on the current warranty period for the other kitchen equipment. Liability for consequential damage resulting from defects is excluded within the legally permissible framework. Forster Swiss Home AG is liable for intent and gross negligence on the part of Forster Swiss Home AG, but not its support staff, in accordance with the statutory provisions. Any further liability, particularly for damage resulting from defects, is excluded, irrespective of the legal nature of the asserted claim, within the legally permissible framework. The warranty provisions in accordance with Number 11 remain reserved. Forster Swiss Home AG complies with the applicable legal regulations for data processing. The customer agrees that their personal data may be processed and used by Forster Swiss Home AG and/or by authorised partners/service providers for the purposes of contract processing, customer care, customer surveys and electronic, telephone and postal advertising. The customer agrees that their data may be transmitted for the same purposes to authorised partners/service providers in Switzerland and abroad. Within the framework of electronic, telephone and postal advertising, Forster Swiss Home AG may inform the customer about the entire range of services offered by Forster Swiss Home AG. info@forster-home.ch or in writing Forster Swiss Home AG, Egnacherstrasse 37, 9320 Arbon without giving reasons. The individual order confirmation between the client and Forster Swiss Home AG with service and kitchen description as well as plans. In the event of differences between the text (description) and plans (drawing), the text takes precedence. Contract for work according to OR Art. 363 ff. The parties shall endeavour to settle any disputes concerning the formation, interpretation and fulfilment of the contract by negotiation if possible. Each party is entitled to invite the arbitration body of the Swiss Kitchen Association (KVS) to participate in the settlement negotiations. Unless otherwise agreed, the representative of the arbitration body exclusively has an advisory function. If no settlement can be reached by negotiation, the dispute shall be settled via ordinary legal proceedings. These general terms and conditions and the entire legal relationship between Forster Swiss Home AG and the client are subject to Swiss law. The place of jurisdiction for all disputes arising from and in connection with the legal relationships between Forster Swiss Home AG and the client is Arbon TG, Switzerland.